Wire mesh filter also called wire mesh filter screen, it's commonly used in the filtration and separation industry. It is made from stainless steel woven mesh, wedge wire screen or sintered mesh. It is widely used in petroleum, chemical industry, water treatment, natural gas, pharmacy and mechanical equipment due to its characteristics of high strength, high-temperature resistance, corrosion resistance, long service life, backwashing and repeated use. 1 stainless steel wire wedge wire screen filter. High strength, surface filtration, no clogging, can be washed repeatedly. 2 stainless steel pleated filter. Surface filtration, large filtration area, high filtration precision, and can be washed repeatedly. 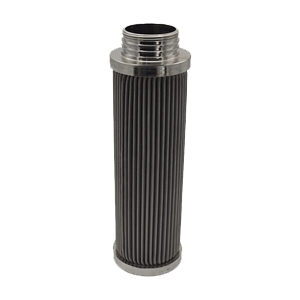 3 stainless steel sintered filter. High strength, deep filtration, high filtration precision. 4 stainless steel filter basket. The choice of raw materials depends on the environment in which our products are used. The most common are stainless steel 304 and 316. In some cases, it may be that your filter element is used in high corrosion, high pressure or other relatively harsh environments. 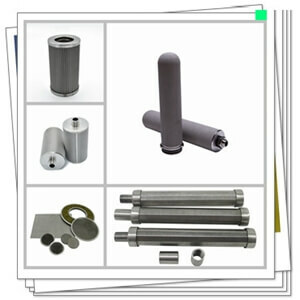 You need the right metal or alloy as your raw material. You can check our article: "Elements that affect the properties of steel products ", or leave a message. Our wire mesh filters can be manufactured in a variety of models and sizes to match the needs of our customers. We have a professional technical team to support you, including CAD product drawings, 3D drawings, product technical parameters, instructions for use, product maintenance programs. Compared with other materials, stainless steel wire mesh filter has an irreplaceable advantage in some special working environments. It can be repeatedly washed and has the long service life, which makes it more cost-effective than other materials. Our factory is located in the origin of wire mesh, which not only controls the quality of raw materials from the source but also has a huge price advantage. We have a complete quality inspection system, independent quality inspection department, from raw material procurement, workshop production to product delivery, there are 9 quality inspection procedures, and strict control on the quality control of product details. In 2013, we imported the most advanced production equipment from Germany, including CNC machine tools, welding equipment, punching equipment, cutting equipment, etc. At present, we have become the most complete and largest producer of filter elements in north China. Among them, our control of product error also has the top level of the industry. The cleaning equipment is developed independently by us. It is different from ordinary pickling. After our cleaning process, it not only looks smooth and beautiful but also increases the corrosion resistance of the product by 40%. We have the industry's top R&D team, keep up with the pace of the market, and constantly innovate. Relying on advanced production technology and rich production experience, we have independently developed hundreds of filter products from the initial stage of construction to more than 20 years to meet the needs of customers. We are the leader of the wire mesh filter, and any information about it can be communicated to us.